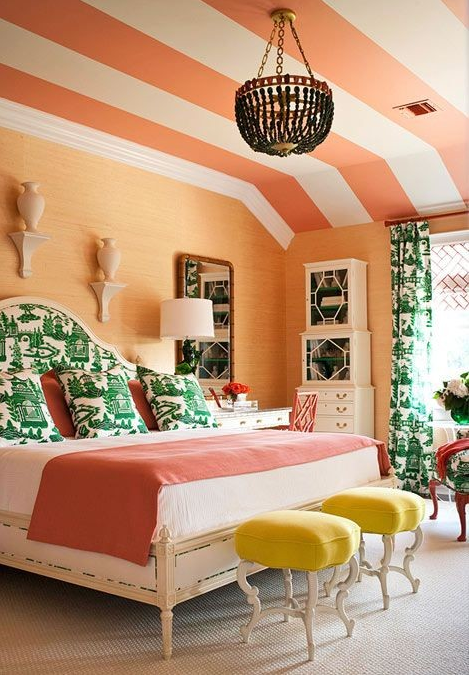 Mix and Chic: A fresh and beautiful Asian-inspired bedroom! 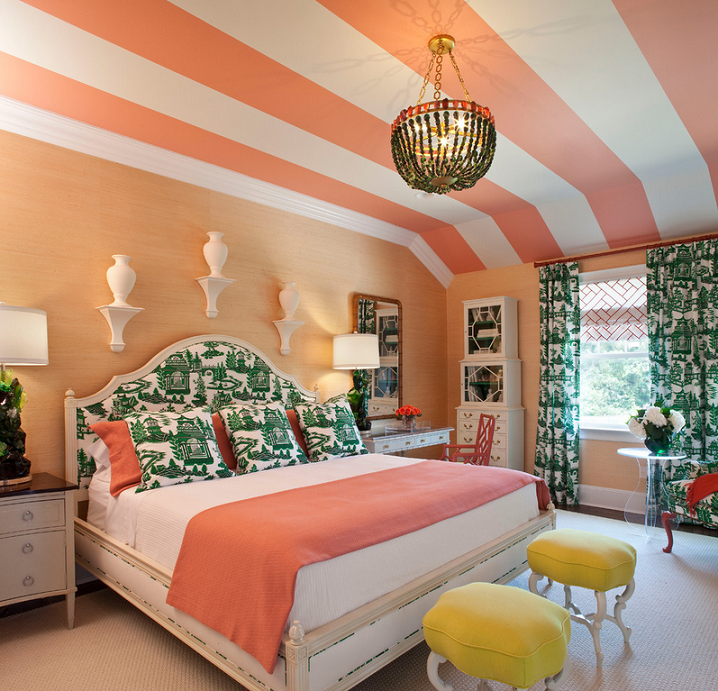 This stunning bedroom is designed by the very talented Tobi Fairley for the Hamptons Showhouse. 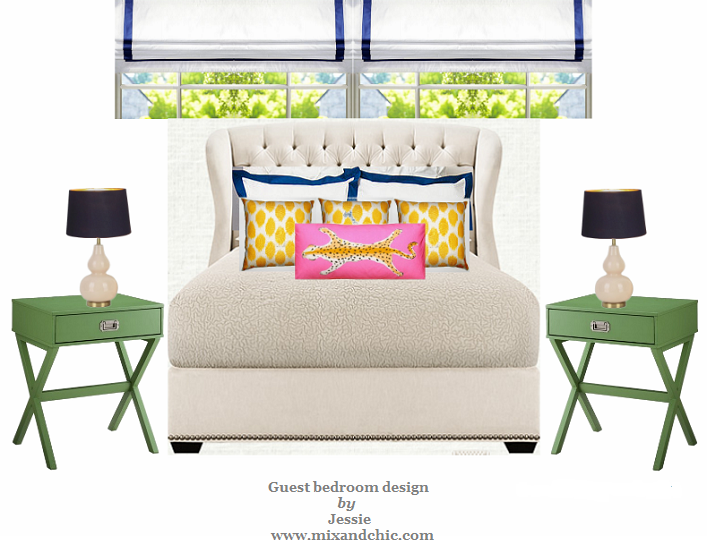 I hope you enjoy her beautifully designed Asian-inspired bedroom as much as I do! 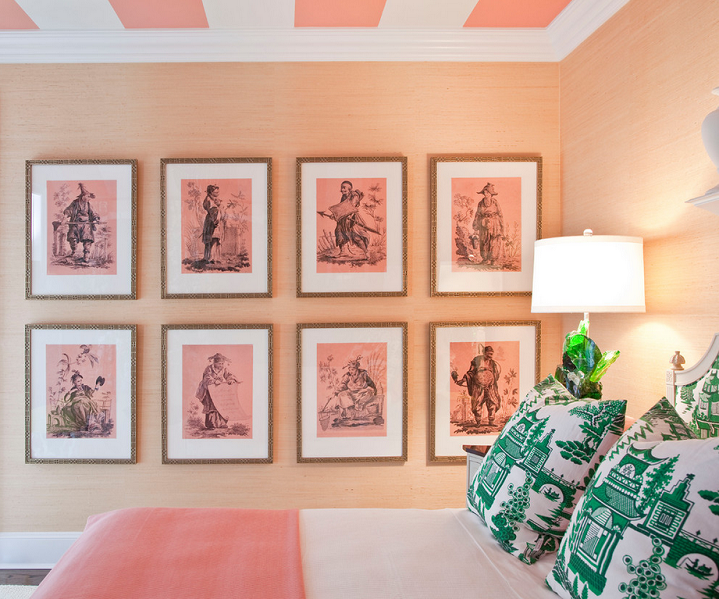 Tobi Fairley is known for her chic, colorful and cheery designs and this gorgeous bedroom is no exception. 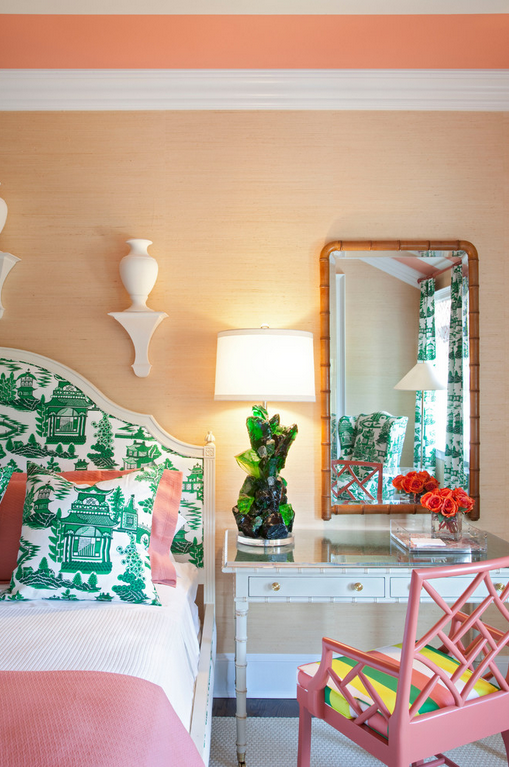 The chinoiserie fabric used on the custom headboard is the first thing that caught my eyes but I am in love with every element in this room especially her fresh use of color palette. Your thoughts? 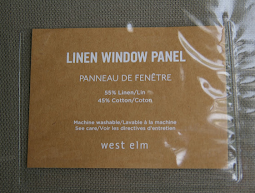 Interesting use of pattern. I love the artwork over the dresser. 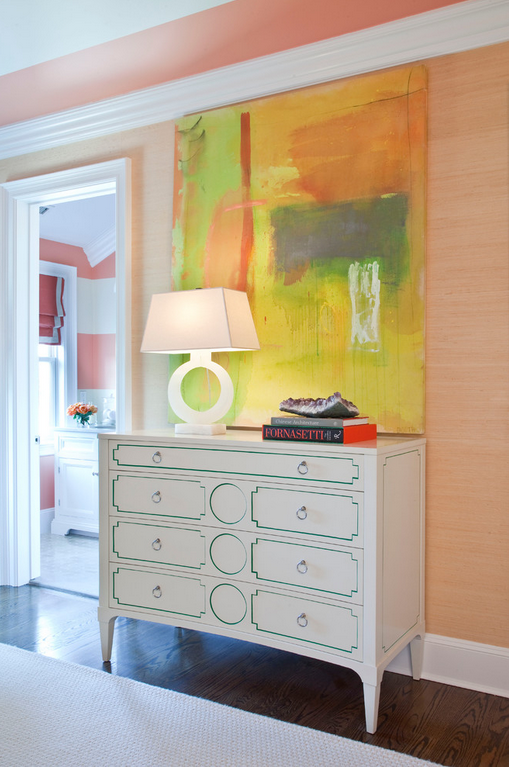 Tobi Fairley works wonders with color. Man, that girl is not afraid of some color! Total wow. M.
that melon color is divine :) love! Dream bedroom! I love it-it's crazy. That lamp is jaw dropping!! 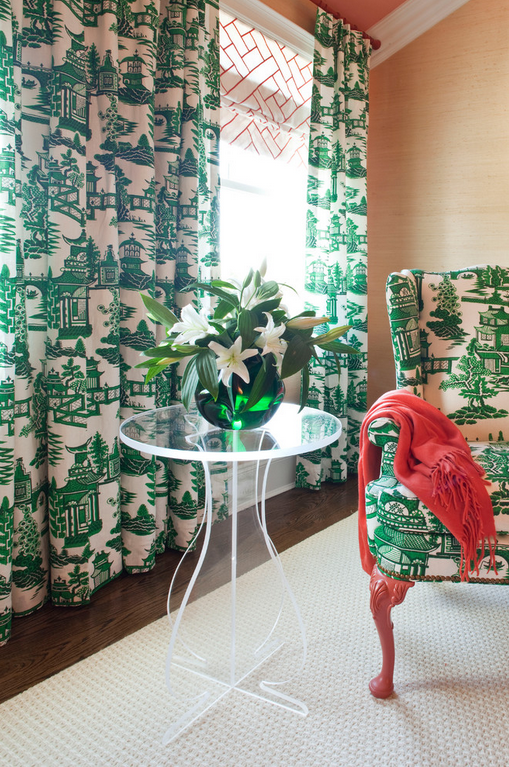 The chinoiserie is fab in that green. 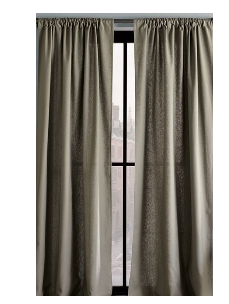 I'm not usually one for matching the draperies to other upholstered pieces but I'm digging it in here. 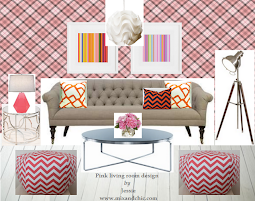 Love the mix of pattern and color, this room has tons of personality!